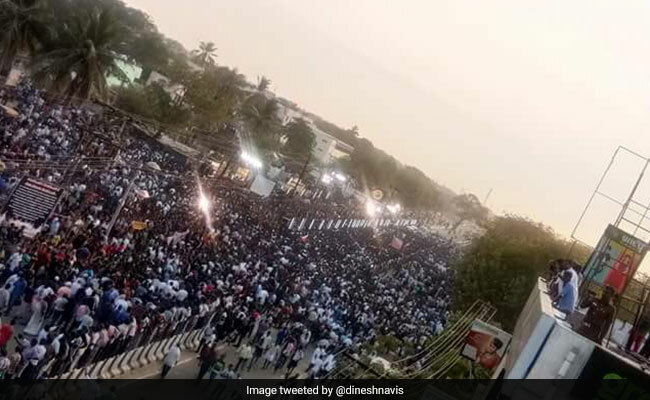 Locals protesting against the expansion of a copper smelter plant in Tamil Nadu's Tuticorin today found support from actor-politician Rajinikanth, who took to Twitter to say the government was not responding to the protests that have been going on for 47 days. "One can't understand why the government, which gave the nod for the plant, is not taking any action and is just watching," the 67-year-old said in a tweet in Tamil. Thousands of residents of A Kumarareddiyapuram village near the Sterlite unit have been protesting demanding the closure of the copper smelting plant. Alleging pollution of air, water and soil, the protesters say the plant should not be allowed to expand its operations. A leading copper producer, Sterlite Copper represents the copper unit of Vedanta Limited, which operates a 400,000 tonnes per annum plant. The unit has been closed for a fortnight from March 29 for taking up maintenance work. Mr Rajinikanth's support comes a day after the other big star in the south, Kamal Haasan, who has also recently made his entry into politics, said he would join the protesters on Sunday against the expansion of the plant. "On Sunday I'm joining those protesters in Tuticorin. Sterlite copper plant should not become another Bhopal... Sterlite plant has to be closed, at least not to be expanded," Mr Haasan had said while addressing a press conference on Friday. Both Kamal Haasan and Rajinikanth, who made their political debuts recently, have taken on the AIADMK government on various issues. While Kamal Haasan has been very vocal, Mr Rajinikanth has been more reserved in his approach. The two leaders are seen to have timed their debuts to take advantage of a political vacuum in Tamil Nadu politics following former Chief Minister and AIADMK chief J Jayalalitha's death and DMK boss M Karunanidhi's age and poor health. In December, Rajinikanth had announced he would launch a party and contest all 234 assembly constituencies in Tamil Nadu in the next assembly elections due in 2021. Kamal Haasan had launched his political party Makkal Needhi Maiam in February, promising an end to corruption, education for all and jobs for the youth. 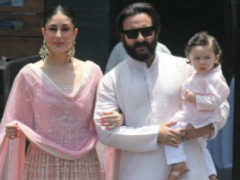 Ever since Rajinikanth announced his entry into active politics, the two actors have been repeatedly asked if they would contest elections together. Without confirming or ruling out the possibility of future ties, Mr Haasan had said last month, "red is not my political complexion" and added "I hope Rajinikanth's colour is not saffron because if it is, an alliance is unlikely."